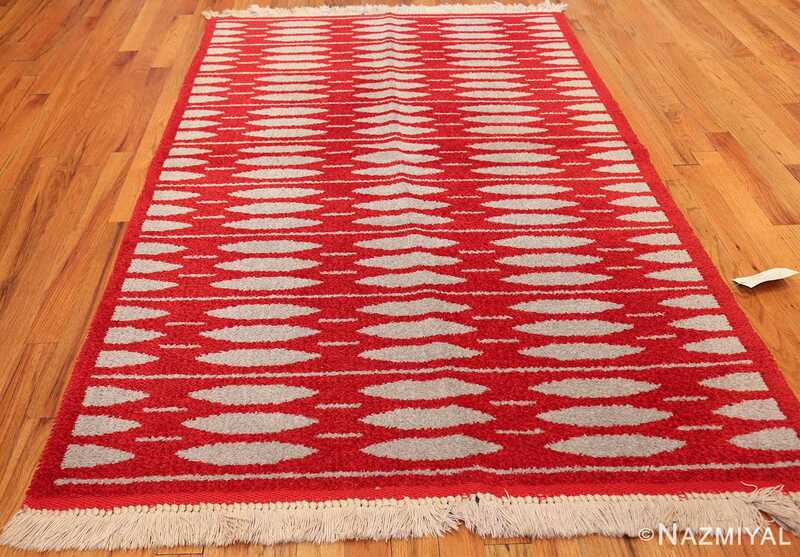 Extremely Decorative and Rare Vintage Mid Century Double-Sided Swedish Rug, Country of Origin: Sweden, Circa: Vintage / Mid-20th Century – A double sided Scandinavian rug with equally appealing designs on either side, this Swedish rug is an excellent example of an endearingly popular vintage rug style. Straightforward and simple, the minimalist presentation of this vintage carpet is representative of the finest tendencies of vintage mid-twentieth century Scandinavian rug design. 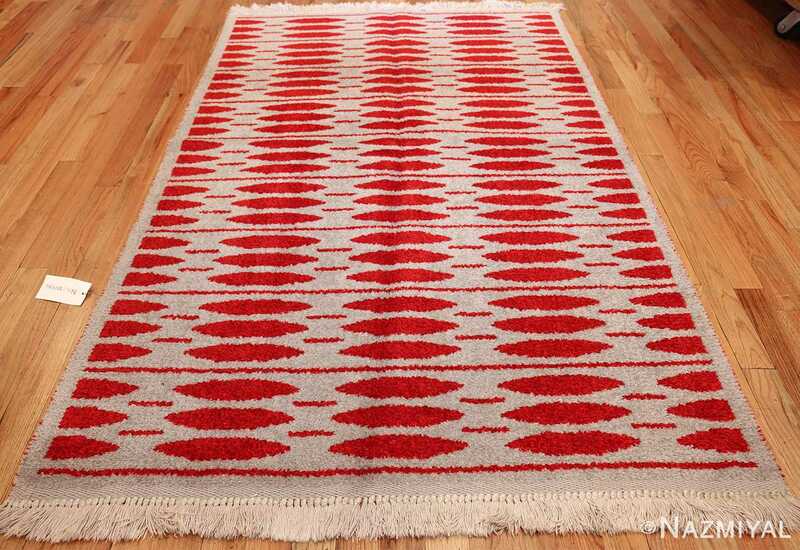 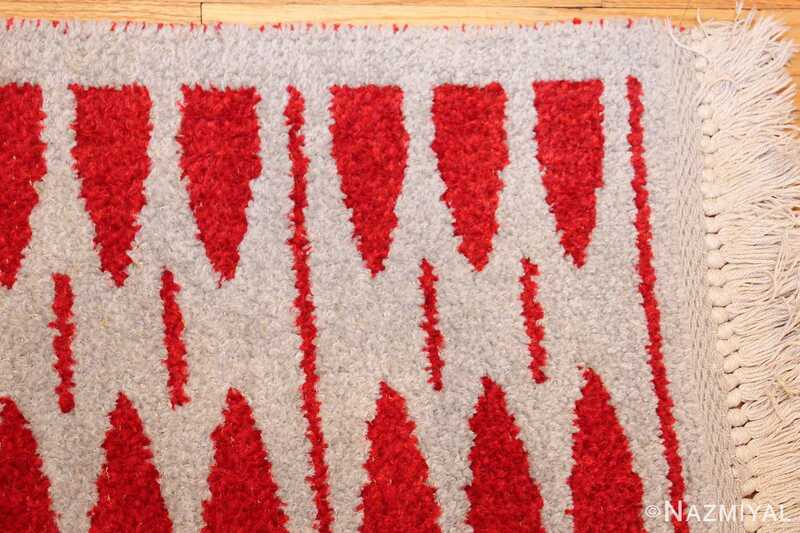 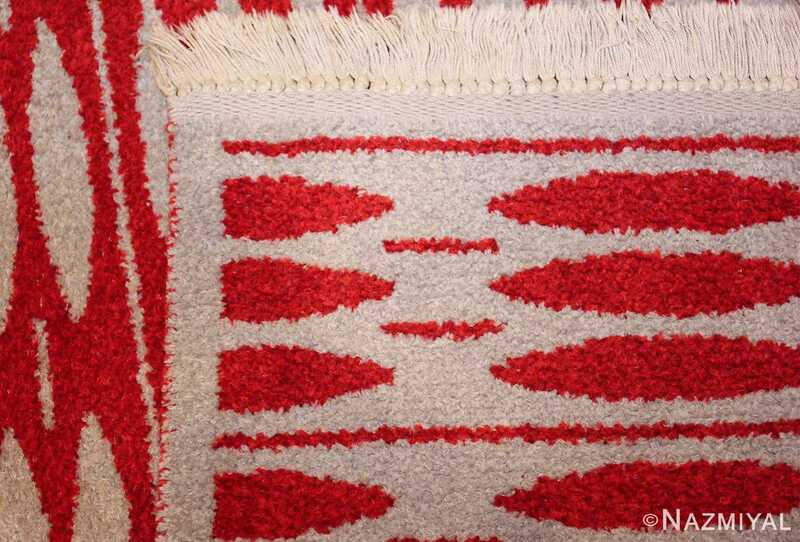 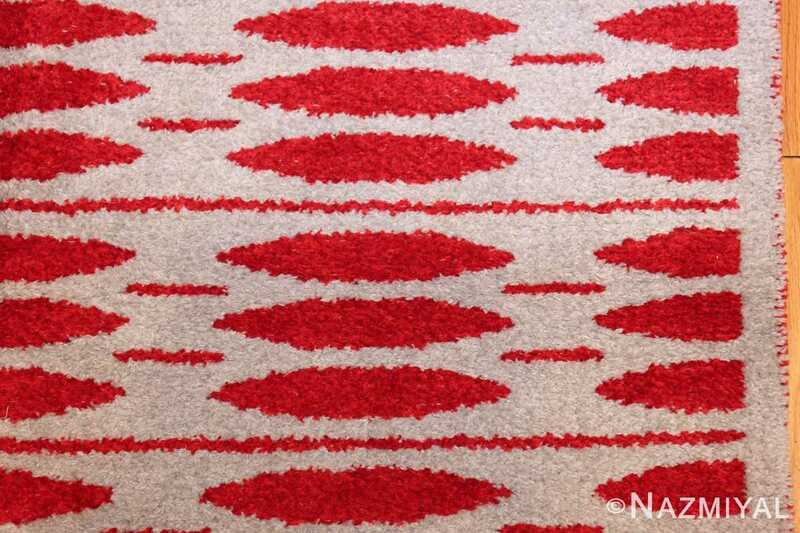 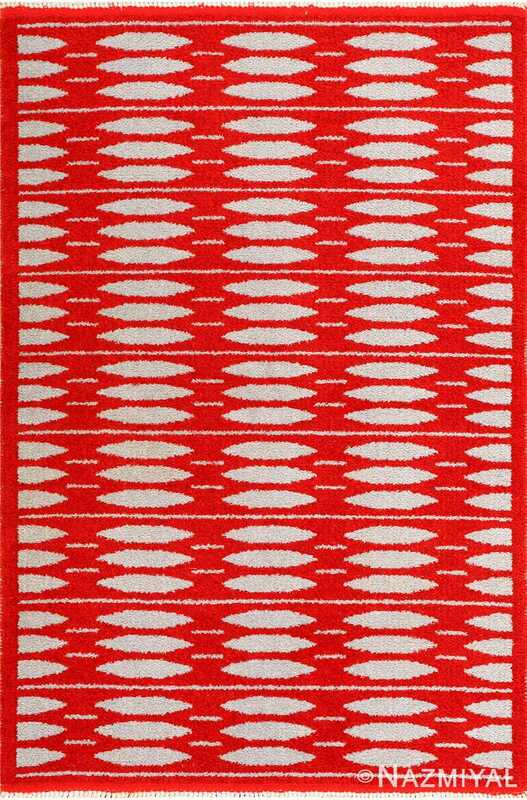 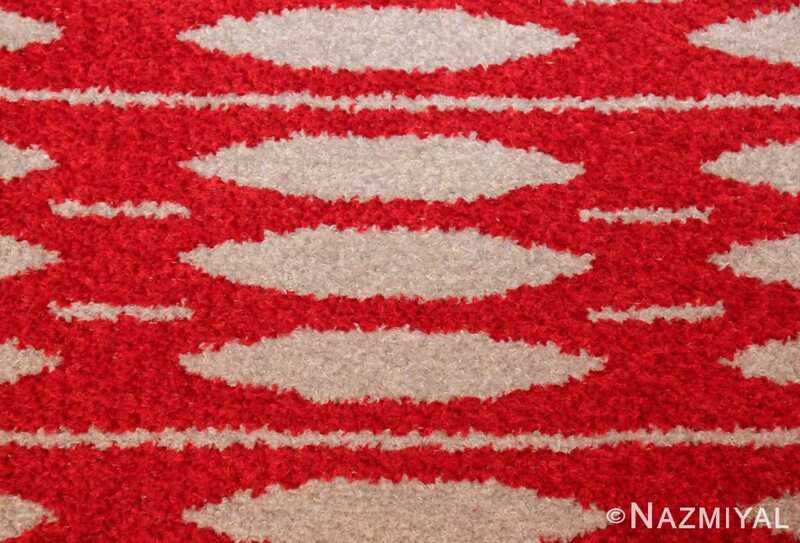 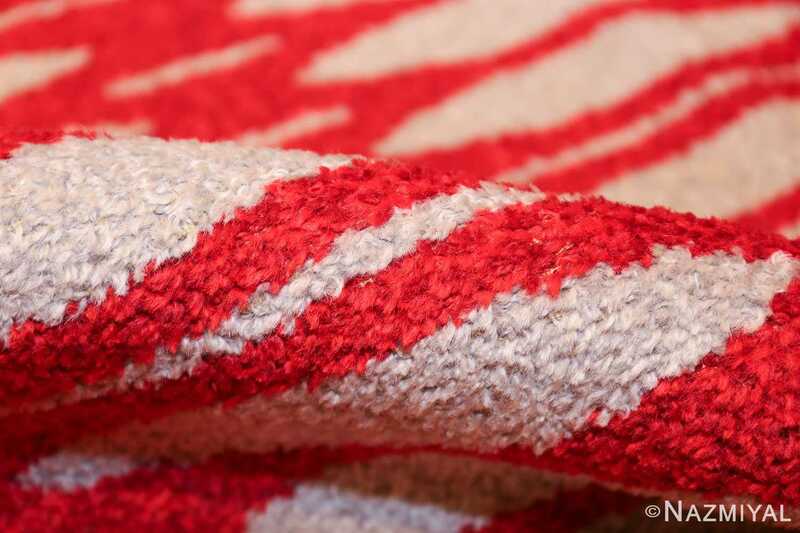 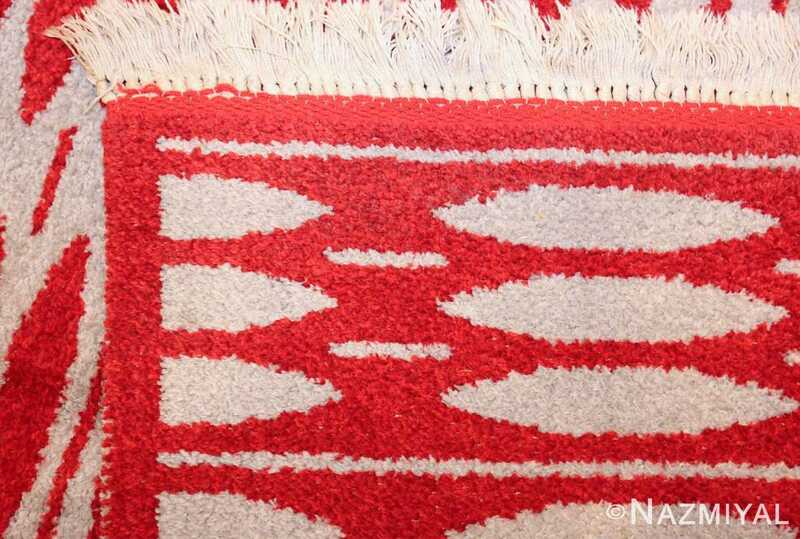 A simple allover patter of red on white – and white on red – this carpet is tremendously versatile and quintessentially mid century modern. 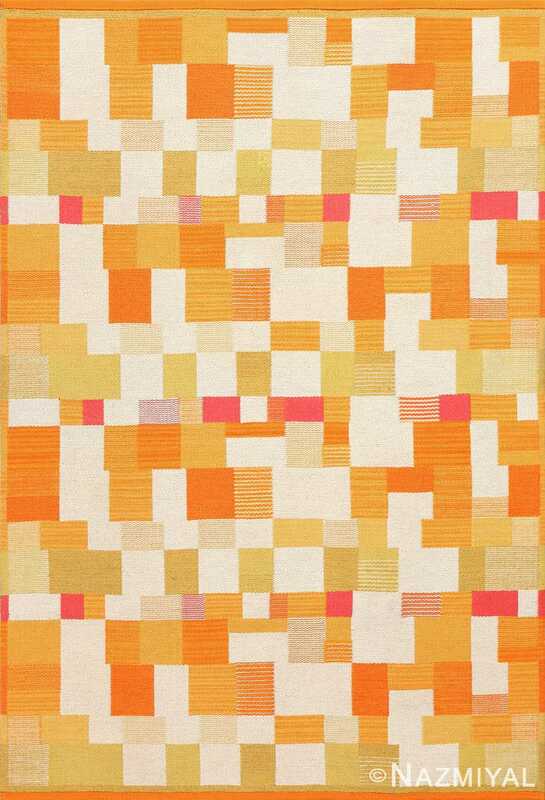 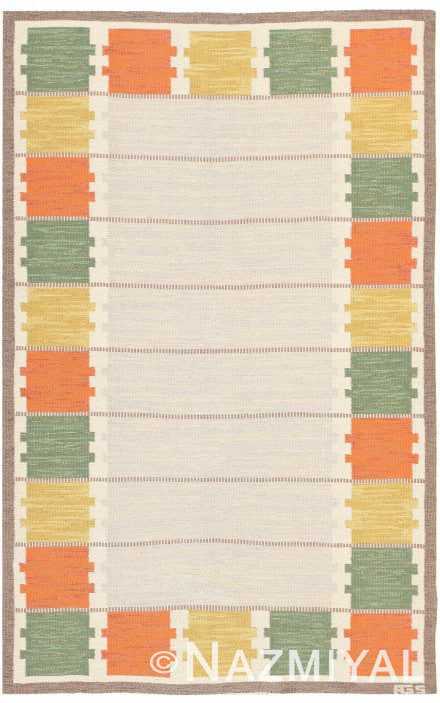 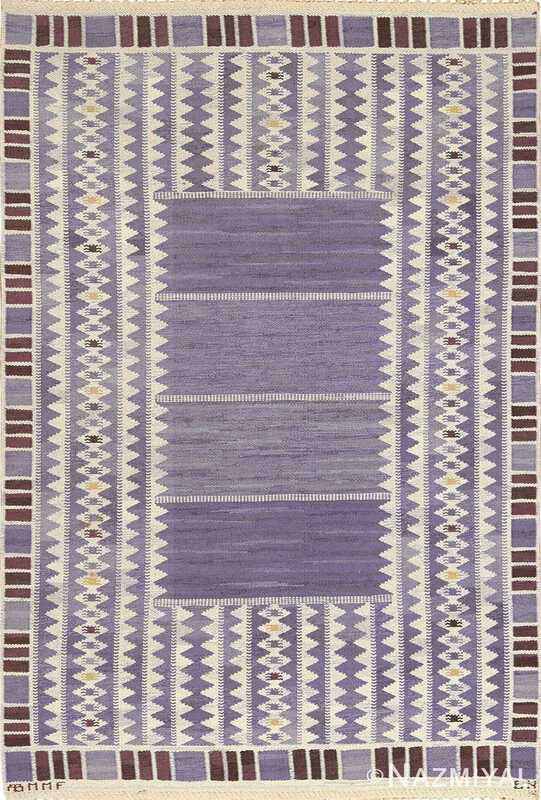 Created by Swedish weaver Anna Greta Sjoqvist, this vintage rolakan depicts bold mid-century colors and geometric designs that represent Sjoqvist's unique style.